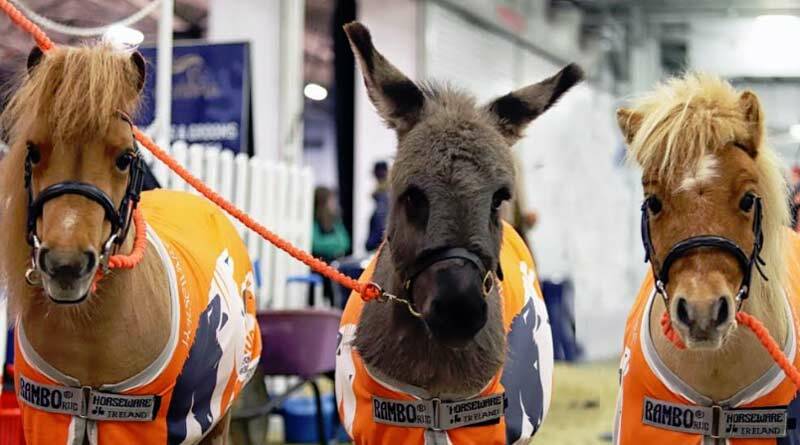 Brooke mascots Alfie the Dinky Donkey and mini-Shetland ponies Harry, right, and La La were a huge draw for the thousands of attendees at Olympia. International animal welfare charity Brooke raised more than £13,000 as the official charity at Olympia, The London International Horse Show last month. One of the most prestigious events on the UK equestrian calendar, Olympia ran from December 17 to 23 and attracted the world’s top riders. Throughout the week, Brooke received support from several high-profile equestrians, including Longines FEI Jumping World Cup winner William Whitaker and showjumper Jessica Mendoza, who were among the many to watch Brooke’s VR 360° film captured within a Pakistan brick kiln. Showjumper William Whitaker was among the many to watch Brooke’s VR 360° film of a Pakistan brick kiln. Charity mascots Alfie the Dinky Donkey and mini-Shetland ponies Harry and La La were also a huge draw for the thousands of attendees at the show with their multiple appearances in the main arena, the Live Zone, and the Brooke stand. As well as the £13,000 received on the ground, Brooke gained more than 240 new regular supporters, which will help to further its vital work for years to come. Brooke Chief Executive Petra Ingram said the charity was honoured to be at Olympia as chosen charity. “Special thanks must go to our fantastic team of dedicated volunteers who were excellent ambassadors for us, and everyone at Brooke who helped make the week a success. Events such as Olympia provide Brooke with an invaluable opportunity to raise awareness of the work it is doing across Africa, Asia, Latin America and the Middle East,. An estimated 100 million horses, donkeys and mules are working to support 600 million people in some of the toughest environments in the world. Thanks to donations from supporters, Brooke works with governments, communities and other organisations to bring positive change to the lives of these animals and those who depend on them to make a living and feed their families.